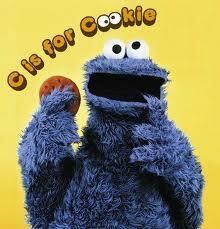 Here is Cookie Monster for the Moon in Cancer today squaring the Aries Sun and opposing Pluto in Capricorn. Have a cookie! When the transiting Sun squares transiting Pluto, I feel it in my body. I get sick. I am thinking that this partly has to do with my natal Pluto which is in my 1st House and conjunct my Virgo Moon. The 1st House is “of the body.” Appearance too. And I remember my astrology class and a student telling us that she too felt certain transits in her body rather than as outside events or people. Yesterday it felt like I was taken over – extreme exhaustion. My mind felt okay though. And I figured it was just too many days in a row at the gym. A facebook pal wondered if it was a psychic attack but I didn’t think so. For me that would feel more like mental distress. I was pretty sure this was just a case of “over-doing it.” And I had a low fever in the morning and cancelled everything that involved leaving the house. But then I remembered Sun square Pluto. Anyone who does readings, who does any kind of psychic work must learn to distinguish between their body, their emotions and… everyone and everything else. It is subtle and necessary work and it takes time but eventually to begin to figure it out and trust what is yours and not yours. And in the meantime? Have a cookie for the Moon in Cancer 🙂 The Moon rules food and Cancer has a sweet tooth. I didn’t feel well yesterday either, also extremely exhausted. I’m a 1st house Moon person, so I feel a lot of the transits! there was something about yesterday!!!!!!!! Previous post The Stars Today: Mom vs. Dad! Next post Do You See Auras?